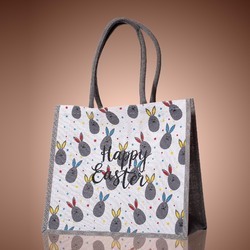 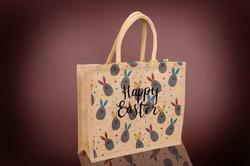 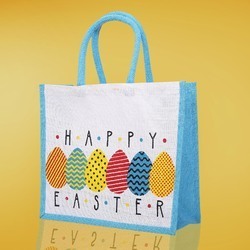 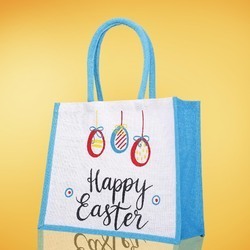 This Easter bag is NON-Washable. 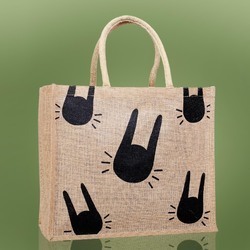 Stylish and Fashionable. 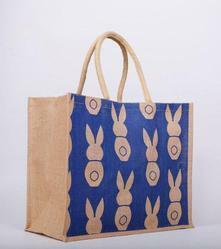 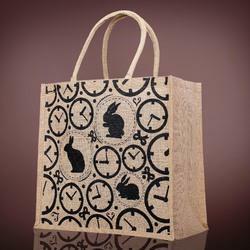 It is designed to a lovely bunny style, simple and refined with fine workmanship. 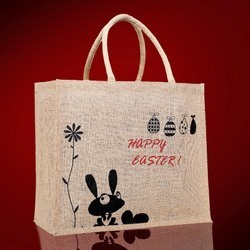 Jute totes bag for your kids to carry his/her items. 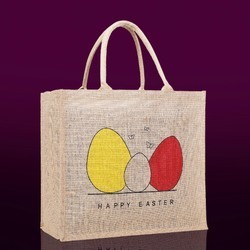 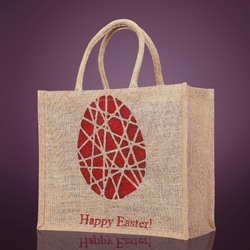 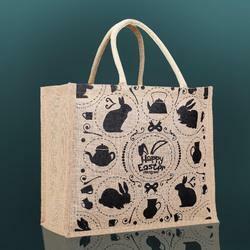 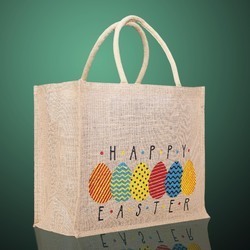 Environmentally friendly Material Jute bags are easy to carry, spacious, strong, durable, reusable and bio-degradable. 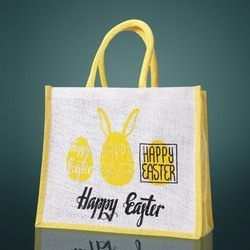 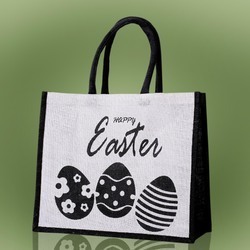 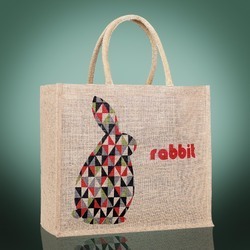 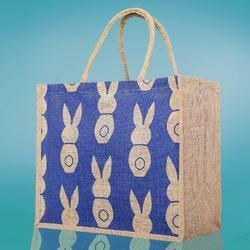 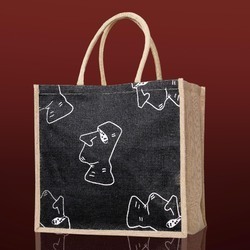 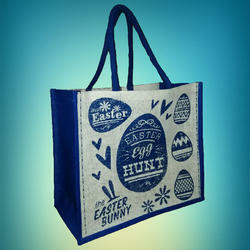 Made out of durable 100% Natural Jute Fiber, you can be sure that these tote bags with last. 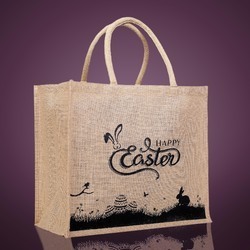 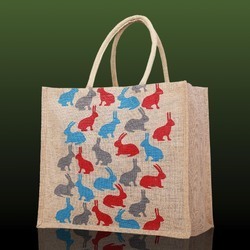 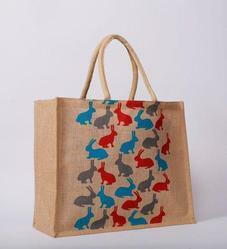 Natural Jute Tote Bags are so popular is because they are eco-friendly and organic. 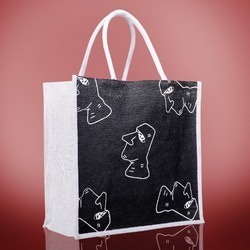 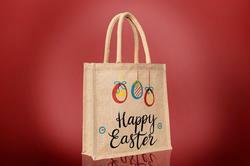 With many organizations trying to go green , these Burlap bags make distinctive, environmentally-friendly marketing items for any company or event. 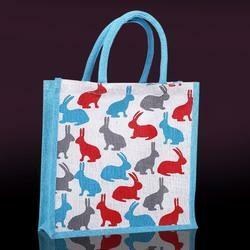 Perfect for you kids The Size of the bag make it simple and easy to hold and carry your kids items anywhere. 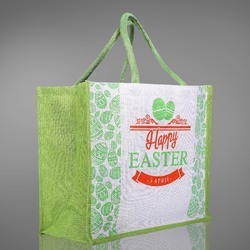 Spacious, strong, durable, reusable and bio-degradable. 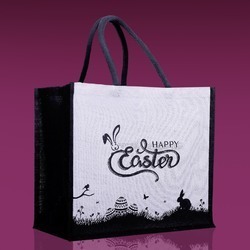 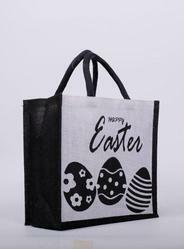 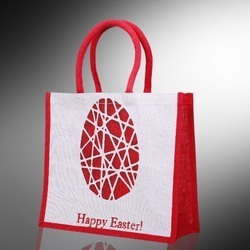 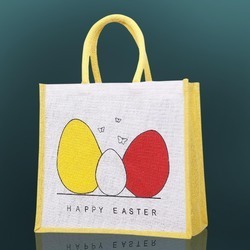 It suitable for you kids to carry Eggs,candy and Gifts during Easter/Party/Festival. 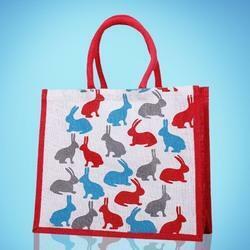 And also a landing spot for books,craft ,school projects and more in the school life.